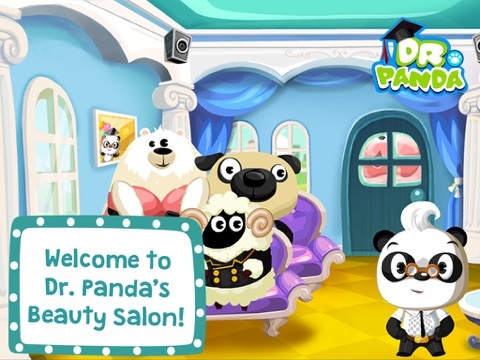 It’s time to let out your inner stylist in Dr. Panda Beauty Salon! 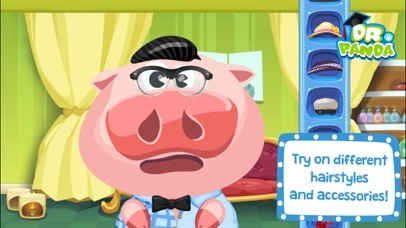 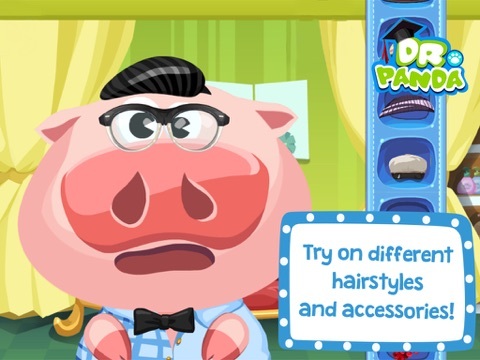 You can paint faces and nails, make necklaces, dress-up different customers and even pluck nose hairs with a cute cast of animal friends in over 11 different minigames. 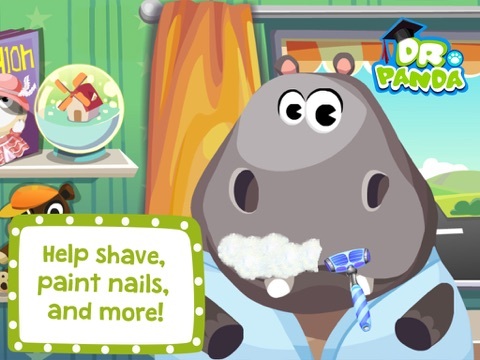 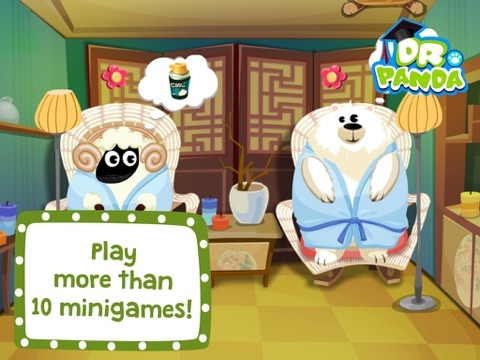 There are a ton of activities to do in Dr. Panda Beauty Salon, from matching bowties with hip sunglasses, to painting faces with glow in the dark paint, to spraying shaving cream on a pig with a 5 o’clock shadow. 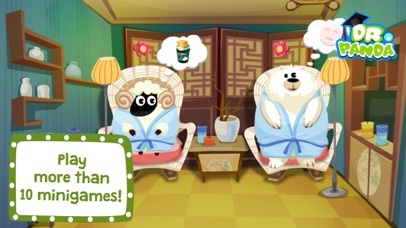 You can make the animals as pretty, funny or crazy as you’d like! 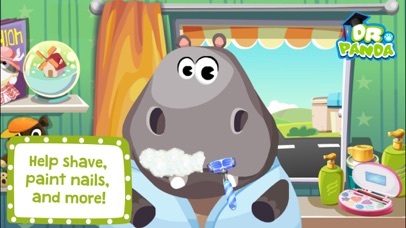 Basic hygiene activities like face washing and nail-clipping are combined with the fun of face painting and painting nails.